Lot 744. 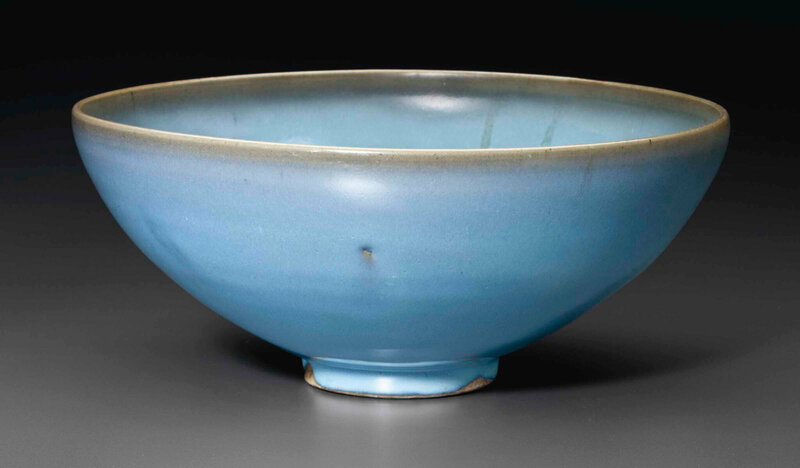 A large Junyao bowl, Northern Song-Jin dynasty, 12th-13th century; ¾ in. (22.2 cm.) diam. Estimate $40,000 - $60,000. Price Realized $47,500. © Christie’s Image Ltd 2014. 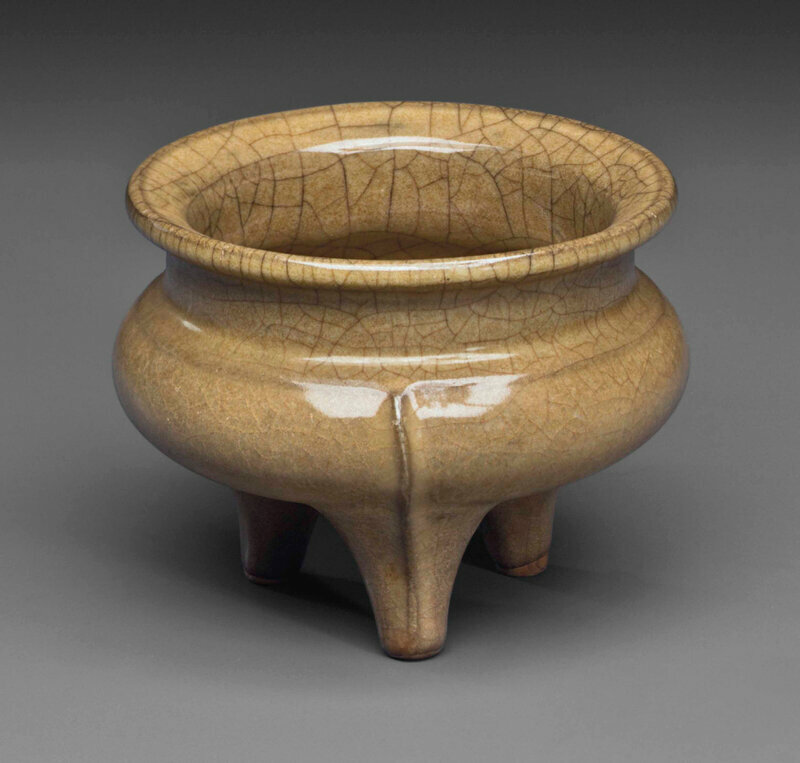 The bowl is of deep, rounded conical form, and covered inside and out with a glaze of milky blue color thinning to mushroom on the rim, wood box. Note: A smaller bowl (14 cm.) of similar shape is illustrated in Mayuyama: Seventy Years, vol. 1, Tokyo, 1976, no. 398. Compare, also, another smaller bowl (14.2 cm. ), sold at Christie's Hong Kong, 28 November 2012, lot 2278.